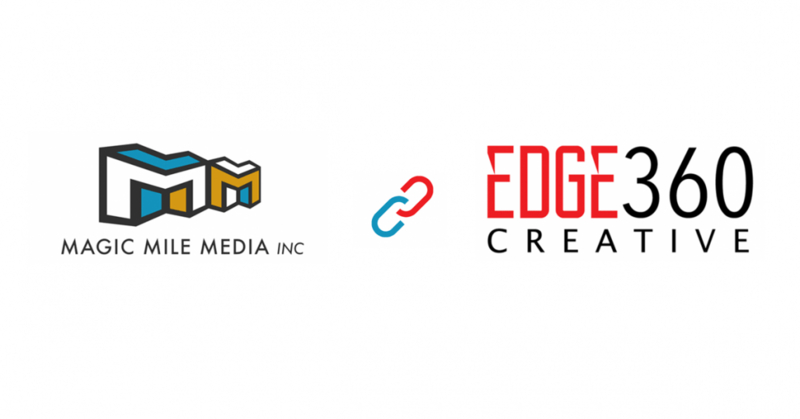 KINSTON, NC – Magic Mile Media and Edge360 Creative are proud to announce that the two small businesses have agreed in concept to a joint marketing agreement to better serve the Eastern North Carolina market. Magic Mile Media specializes in social media marketing for small businesses, organizations and personal brands with capabilities including photography, videography, graphic design and website design. Edge360 Creative is known for its superb website development, hosting and maintenance services. The joint marketing agreement will allow both companies to build upon their core strengths and leverage each other’s capacity to better serve existing and future clients. Magic Mile Media was founded in December 2016 on the premise that small business owners and individual brands understand the need for social engagement, but lack the resources of time and/or knowledge to implement a successful strategy consistently. Magic Mile Media is a “social-first” branding firm that helps small businesses and individual brands harness the power of video, photography, text, and graphics to maximize target market reach, social engagement, and brand profitability. Edge360 Creative, founded in 2014, is an eastern NC based digital marketing agency, passionate about giving you the edge in web development, logo design, social media and more.